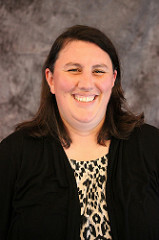 Joan Giblin is an Assistant Teaching Professor in the Graduate School of Education. In addition to teaching at the college level since 2004, Dr. Giblin has held leadership roles in residence life, orientation programs, first year seminar, academic support programs, and academic advising as well as provided strategic leadership for student support and retention initiatives. Her publications include articles in the Journal of Applied Instructional Design, a book chapter on facilitating self-regulated learning, and an instructional text. Dr. Giblin has served on the executive board of the College Reading and Learning Association (CRLA) Northeast Chapter and serves as a master reviewer for the CRLA International Tutor Training Program Certification program. Her research has been presented at regional and national conferences, including the National College Learning Center Association, the College Reading and Learning Association, Mathematical Association of America's MathFest, and the Joint Mathematics Meeting. Dr. Giblin's research explores the development of academic self-regulation skills in college students through intentional instructional design. She also studies higher education administration.